OK how much sense does it make to have all this talk about barefoot running and then a massive amount of shoes. b)A practical function, when I am running distances or conditions where my bare feet are either not seasoned enough or the environment too harsh. 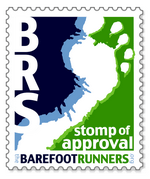 +20K distances, off trail mountain running or the like are good examples. All shoes has been bought and paid for by me, no “review samples” or “loaners”, it does not make me unbiased though. In fact it makes me 100% biased towards what works on my feet. So lets get to it and start looking at what they are all good for, if anything at all. The casual observer will notise they are not in the picture. My first pair of five fingers, bought in 2008 or so and has been used for a variety of purposes, but primarily as a gym, lightweight hiking or shoe for short technical running exercises. However it excels at pretty much anything, one of the thinnest and most flexible soles in the five finger lineup , with excellent ground feel thanks to it and a thin lightweight upper with a velcro strap closeure to sefure it, it really has very few faults if any. The picture kind of tells the story, I have used it for lgiht technical trails, snow, ice, gravel road and stuff in between. 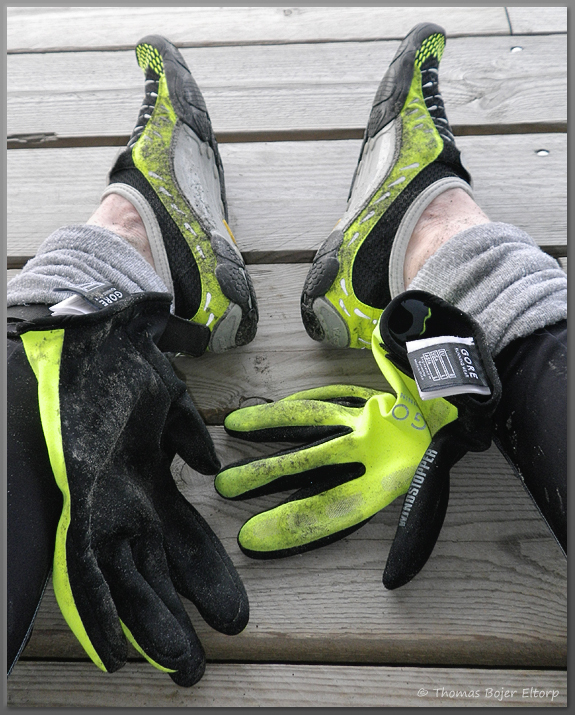 Paired with a thin Injinji sock it is good down to -20C if you do not stop for too long or run multiple hours. 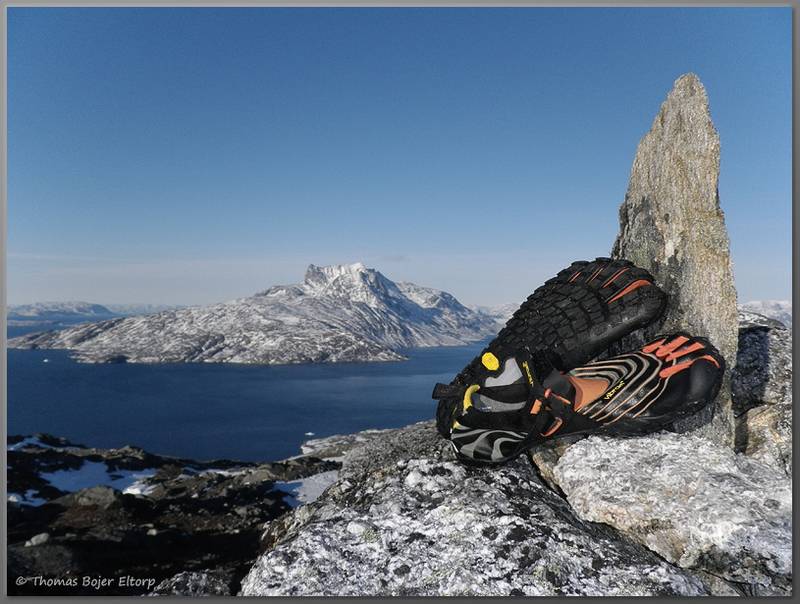 These days it is my gym shoe when in Greenland and not much else.Other shoes have taken over for any other use. It was however the shoe that dragged me into the five finger shoes and barefoot running thing, thus in some ways a reference shoe for me and I got essentially nothing but praise for it. If you can only get one pair of Barefoot shoes, these and a thin pair of injini socks should be on your list. Without a doubt the most perfect Five finger running shoe at least for my feet. A soft, thin to the point of almost not being there upper, with a thin velcro strap to lock it down a bit, mine is essentially loose and never adjusted nor really doing anything useful, but it is there if needed. I especially like the super soft heel cup, msot other vibrams have way too much support and shoe in their uppers, this one while probably not to every ones liking, just have enough structure to stay on your heel, but nothing else. The sole is unusual, a soft EVA(?) 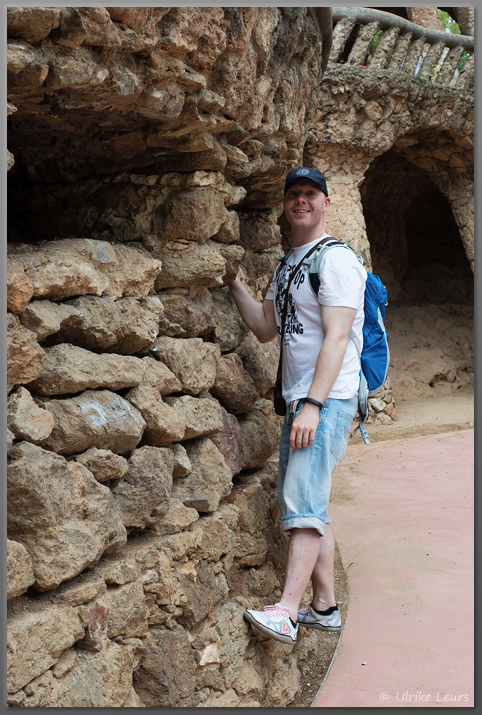 at the arch portion (middle foot) and vibram rubber pods on heel and forefoot where you have contact with the ground. The sole while curling nicely into a ball, gets a touhc stiff in the downwards movement of the toes, but ground feel is some of the closest to being barefoot you can get. it is a very finely tuned running sole and I adore it. These are my preferred running shoes, I have done several half marathons in them, one of them in a blizzard, on ice and in snow. They do trails much better than most think, at least until the trails get too muddy or technical in nature. I know a lot of people like a more structured shoelike (for the lack of a better term) upper and if that is the case, then this is not a shoe for you. Made specifically for trail running and functional masterpiece from Vibram. The upper is some active material that is quite tear resistant and while not water resistant or water proof in any way then it sheds water reasonably well. add a KSO like velcro strap and a serious upper is in the making. A lot will talk about waterproof trail shoes, I am not one wanting it. I would rather have a shoe that is light breathe well and dries fast. 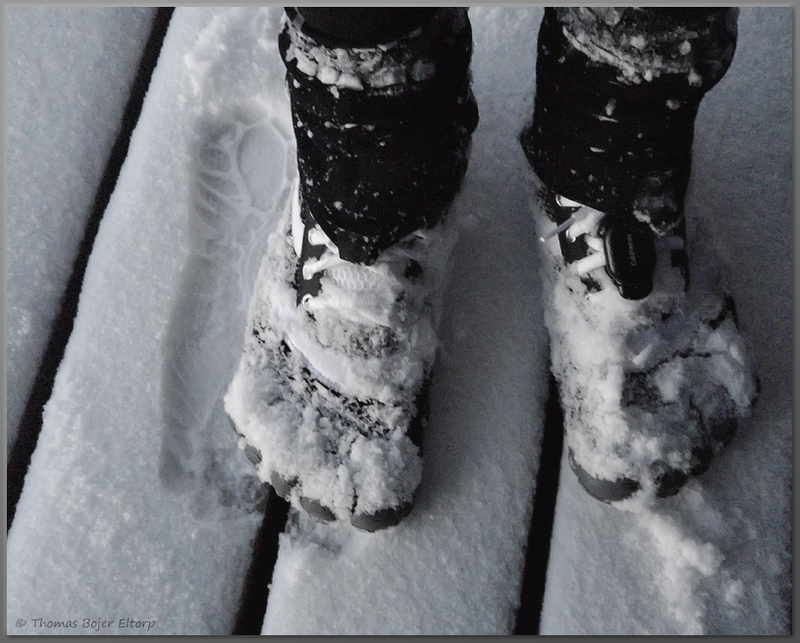 because if you run deep snow or muddy trails, have to cross streams then you feet will get wet and your shoes will get soaked and a waterproof upper is just not optimal in such conditions. The real magic is in the sole though. a quite hefty thread that makes for excellent grip in almost all conditions combined with a mesh just underneath the sole that helps distribute impact from sharp stones or ridges. for rough off trail terrain it is perfect. It provides a lot of ground feel, but takes care of all the stuff that would potentially hurt your feet at the same time, all in a really flexible sole. The only thing lacking in this almost perfect off trail sole is a little less grippy on steep smooth rock sections. it is probably a trade off for durability, but I have taken one slide where I would normally stay upright because the rubber did not connect well enough to grip. Now that I know I can adjust for it and it has to be very steep for it to be a problem, but it is a small thing worth mentioning. Almost sounds too good to be true, but they are that good. They are my go to, hiking boots and off trail running shoes. Now they can do a few miles of road if you want them to, but they are not made for it and one can feel that when running roads in them. Few shoes have had me as excited as the EL-X the promise of perhaps the most flexible and minimal Five finger yet and with a sloe with a by the look promising grip. However everything that looks so great on paper, does not translate into the finished product. The upper is made from the same superlight and flexible mesh as the seeya, but with lots of rubberband coatings to secure it. I am not sure who came up with the idea, but what a night mare, it creates a super tight fit but with plenty of pressure points and hotspots as a result. I can go with the slightly added structure to the heel cup compared to the seeya, but why ruin this super comfy upper with rubber bands squeezing your feet. The Sole I absolutely love though from a flexibility, grip and ground feel point of view, probably the best Five finger sole so far. But why they decided to go with the same narrow heel and mid foot design as the trek sole, in stead of the wider design used in the seeya, KSO and spyridon is a complete mystery to me. The end result is another series of pressure points that will create blisters on my wide feet, especially with the massive amount of rubber bands squeezing it into my feet. I would love to see this material used in a sole design with a width like the KSO and with a seeya upper. Would be such a perfect shoe, but in the current state the EL-X is not really anything but a walkaround shoe for me, I doubt it will see that much use. which is a shame when the potential is huge. The Bikila LS is marketed as a running shoe, but to be quite frank I find it to be way too much shoe and too cushioned to my liking for running. Thus I do not run much in it, that said it has been a great winter boot for me. The upper is as said very shoe like and the speed laces works a treat creating a very snug yet soft fit and you can feel the upper support and hug your feet. The sole is fairly padded for a five finger, which may not be a bad thing, I just prefer a ride closer to the ground. 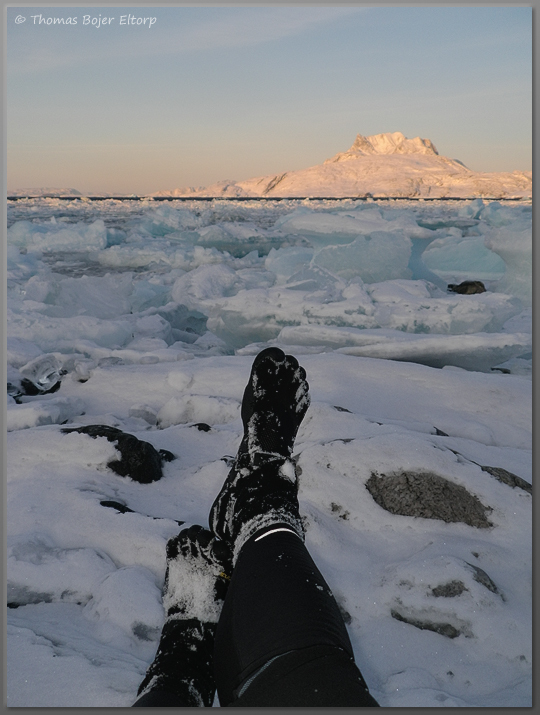 I have been wearing them as my primary casual shoe throughout the Greenlandic winter, where the very shoe like and padded upper and slightly thicker sole is great to insulate your feet that extra bit. I have walked countless kilometres and travelled a number of countries in them, and for a casual wear five finger, they are amazing, still super comfy after 12-14 hours of walking. They are not for warm climates though and I think they perform the best in temperatures below 5C, belwo -15C they can get a little chilly if you stand still for too long. 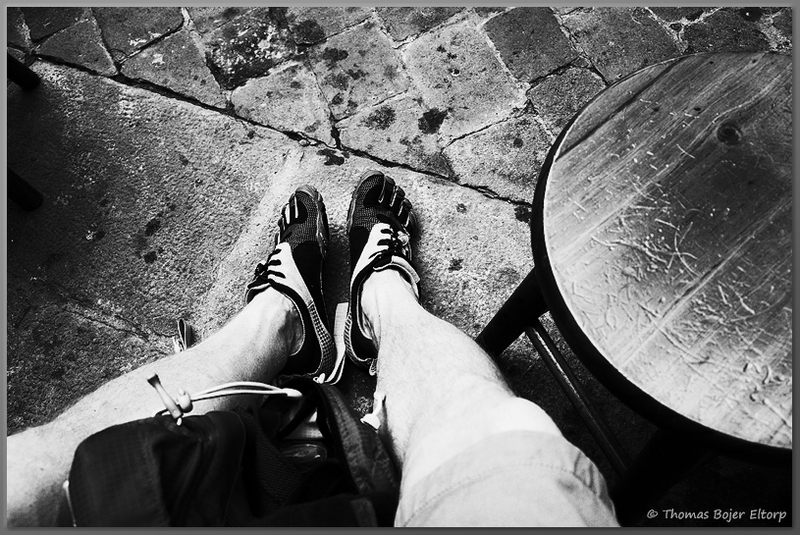 I am experimenting with the Seeya LS as a replacement, but will keep them at hand for winter. The first five finger to have the running specific sole also found on the bikila. and the sole share the same pros and cons. The upper I think is a love/hate thing. I have heard several refer to it as looking like a bear paw and being super ugly. Personally I think it looks nice enough. The upper is a fairly thick mesh with a classical lace closure. IT is quite supportive and there is a lot of shoe to it. I mainly use it in the gym, where it performs very well, save for being a little warm, but I have been running in it on occasion during winter too and it does well in most common winter situations, it is not good for icey roads or trails though. I have yet to encounter temperatures where running in vibrams is not viable up to a couple of hours and the speed is no exception. I would not want to run them on a hot summer day though. If I were to find a gripe with it, save for the too padded and to shoelike thing, which I think is the intention behind the design, it would be the way they have constructed the upper, some of the seams creates hot spots and blisters if I run them barefoot for more than say an hour. 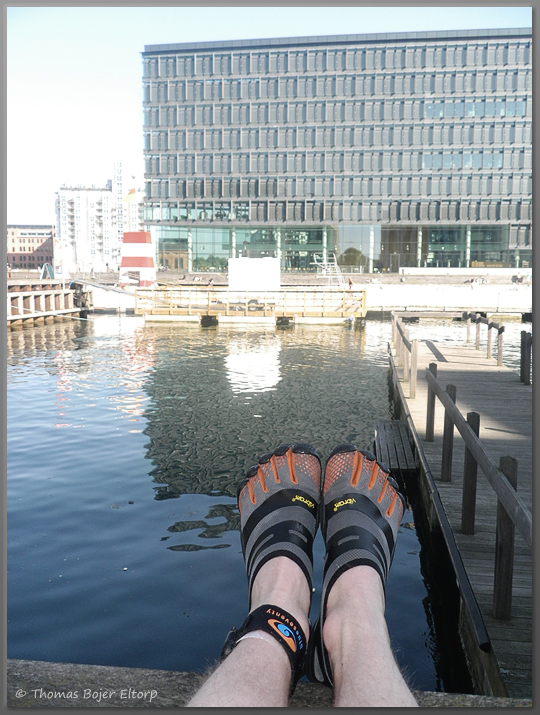 The Vivobarefoot Gobi is perhaps the most comfy barefoot shoe I ahve ever worn, at least of the closed toebox type. Vivo has managed to get everything perfectly right with this shoe. The upper is soft soft suede and really molds to the foot and ankle, the toebox is perhaps the widest I have seen and that without the boot does not look weird or “duck like”. The sole is soft and offers great ground feel, I have walk more kilometres than I can count in these and they still look great and feel great. 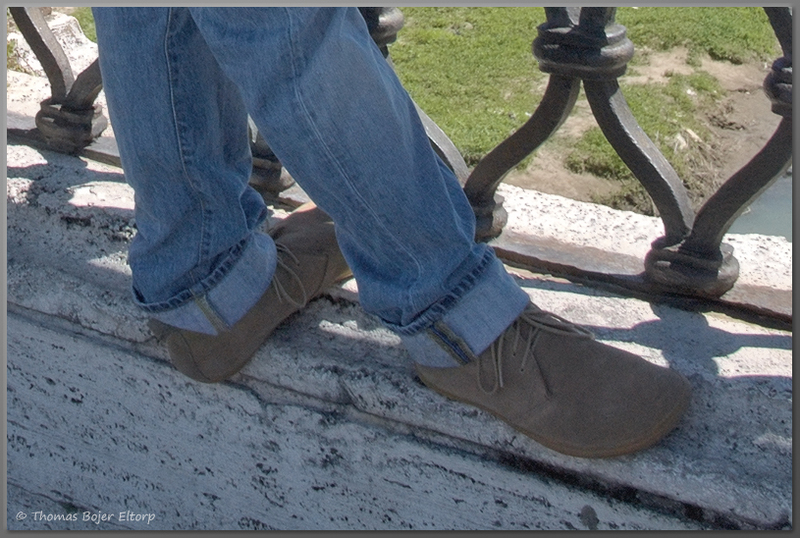 If you need a short casual boot or shoe, the Vivobarefoot Gobi should top your list, barefoot enthusiast or not. Well the Ra is essentially a shoe version of the Gobi, thus as you might imagine this is at least to me every bit as amazing. My Pair is the black leather ones, bought specifically to replace the shoes I normally wear when I need to be dressed up. I have worn them through countless of long business meetings, conference days, strolled I do not know how many kilometres while travelling, been running through airports, and other +12 hour days in them. Albeit not being a fashion shoe, they do blend in well in the business environment and has for all, but the really dressy stuff replaced my suit and business shoes. The best part I think is how well they age and it speaks volumes of the quality of the leather used. I am due to the many days on the road quite tough on my footwear, but these takes it all in strides. The only thing is that I had to break mine in a bit, as the leather around the keep is a little stiff in the beginning, it quickly softens up though. The full leather is not quite as comfy as the suede version thus not the comfiest closed toebox shoe ever, but they are without a doubt the most comfy business shoe I have worn and that by quite a margin. 3 years in the heads of the Vivobarefoot team before making it to to production and in my very humble opinion it should probably have stayed there a little longer. The upper is not bad at all actually super light and super thin mesh, and a regular lacing system to close the shoe, the tip of the toebox and the heel has been reinforced with some more durable fabric and all of that is perfect. But why oh why has the mesh been reinforced with patches of stiff reflective fabric or plastic is a mystery and it totally destroys the soft flexbile upper fo me and I do not have particularly wide feet. It is also mystery why the company that makes the Ra and Gobi (two of the most comfortable shoes ever) decides to go with such a narrow toebox, I was told that the shoe would mold and widen a bit, but it has not. The sole is surprisingly stiff than (much more so than the Ra and Gobi) and the insole is surprisingly thick, that said it actually has a pretty good ground feel, but that narrow toebox. I have walked a fair bit in these and been running a few laps. they are for me intolerable for running, uncomfortable does not even describe the feeling. They are tolerable for walking though and had it not been for the issue below I would have done so, when I’d needed a casual shoe with a close toebox during summer. Now my biggest gripe is not the fit or anything else, but the fact that now a good month later, the sole and the upper has begun falling apart in several places. we are talking a 150 EUR shoe here and that is just not good enough. I will be returning them to the store next week. 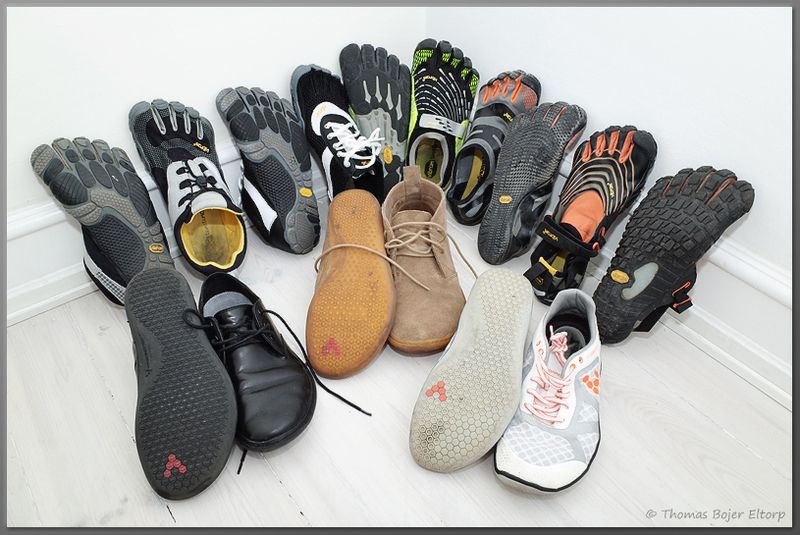 Two Vibram five fingers that I own has not been mentioned above, The Vibram Five Fingers XS and the Vibram Five Finger Classic. I was told long ago that if I had nothing nice to say then I should shut up and I really got nothing nice to say about them. This entry was tagged Barefoot, Bikila LS, classic, EL-X, Gobi, KSO, Ra, running., Seeya, Shoe review, Speed, Speed XC, Spyridon, summer, Vibram Fiver Finger, Vivobarefoot. Bookmark the permalink. I have the stealth and love them, thinking about getting the Ra for work. Are they sized similar? I wear a 43 in the stealth and wondered if I should order the same in the Ra. Any suggestions? 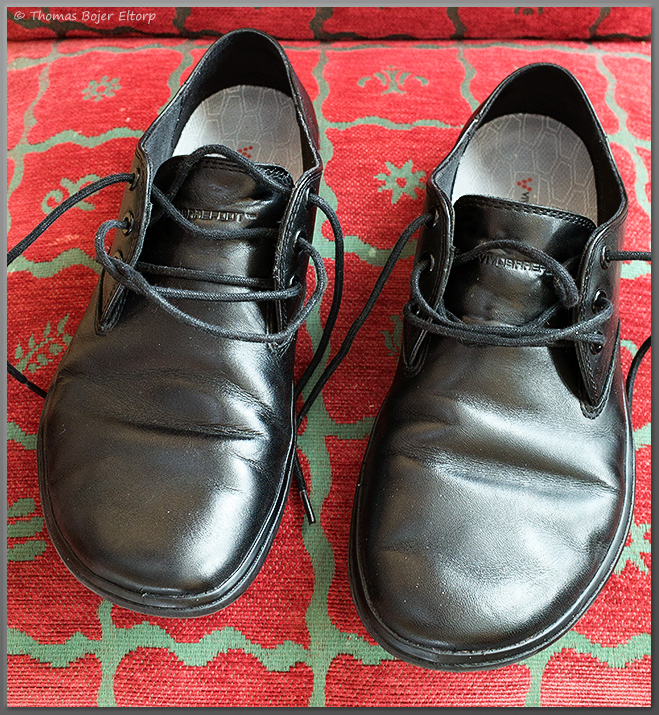 I have been wearing the Ra extensively as a business shoe and Along with the Gobi it is my favourite vivo shoe. They are wider andmore roomy in the toebox compared to the stealth. I tend to find most of vivo’s running shoes a touch on the narrow side, with the stealth being the wider of them. The Ra comes highly recommended from me. Do let me know how you get along with them.